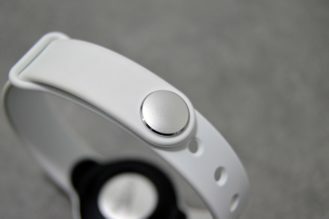 So when the Misfit Shine 2 Swimmer's Edition was announced for the relatively low price of $119.99, I quickly jumped on the opportunity to review it. 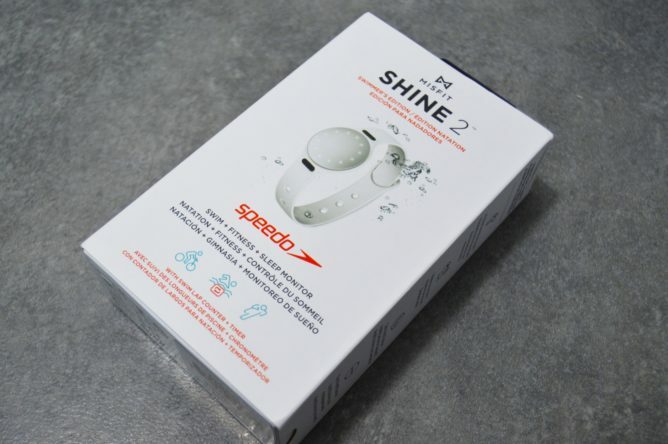 I was already impressed by the company's Flash tracker and its very uninvolved approach to activity tracking, so I knew the Shine 2 would be worth checking out more thoroughly. It promised the same long battery life, automatic sleep and activity tracking, and for the first time, it finally adds swim lap counting to the mix. My past month or so with the Shine 2 Swimmer's Edition (SE) has proven this opinion to be mostly accurate. It's an excellent tracker, though there are still a few areas where I find it lacks more detailed data. Great battery life This is one of the few activity trackers with roughly 6 months of battery life. No more charging every few days! Waterproof The Shine 2 SE is waterproof for up to 50 meters of depth. Forget about IP68 or 1 or 3 meters of submersion, this is the real deal. Worn everywhere Clasp it onto your jeans or shirt, attach it to your shoes, or wear it on your wrist, it all works. 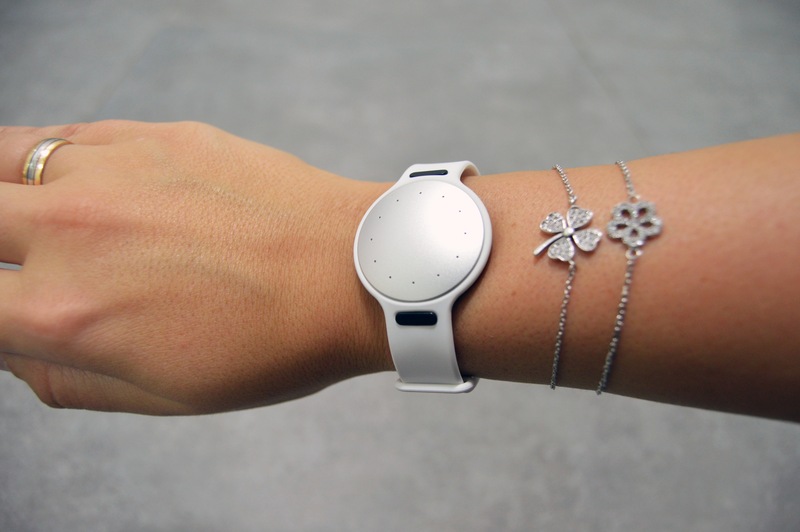 Automatic recognition Without your manual input, it'll recognize sleep and light, moderate, or intense activities. 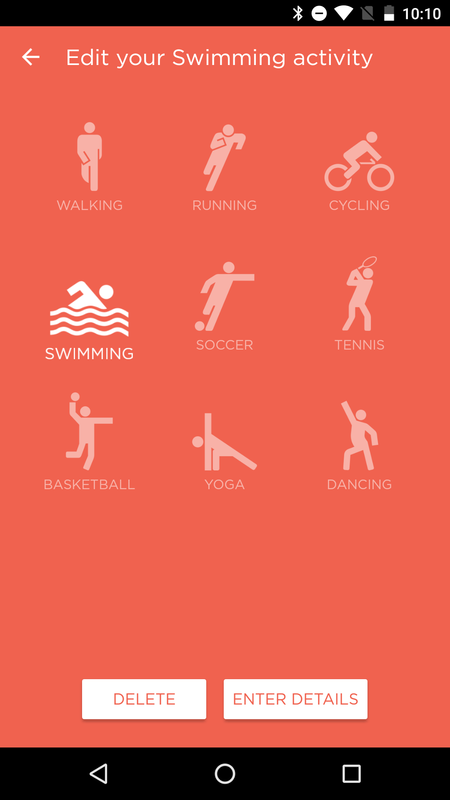 Point system It makes more sense to check your active points than your steps, especially if some of your activities don't involve walking (swimming, cycling, etc). 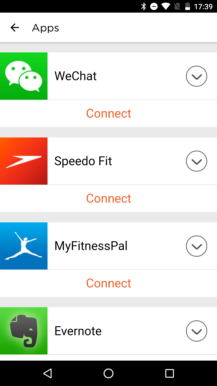 Google Fit integration Your different activities are synced to Google Fit and show as part of your timeline. 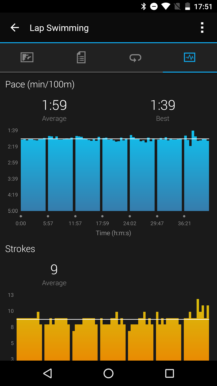 Swim tracking Very accurate. 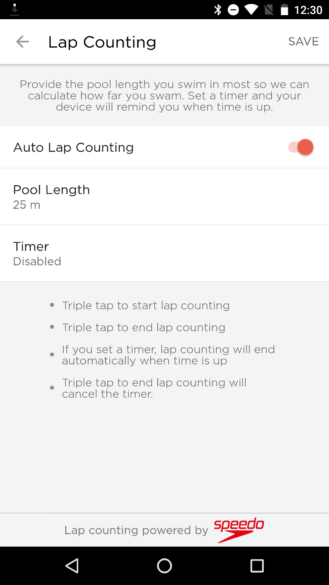 Counts all laps, all stroke styles, with underwater flips at the wall, and doesn't get confused by any pause in between. All around better Thinner and significantly lighter than the first Shine, less prone to loss and accidental removal, colorful LEDs, vibration motor. 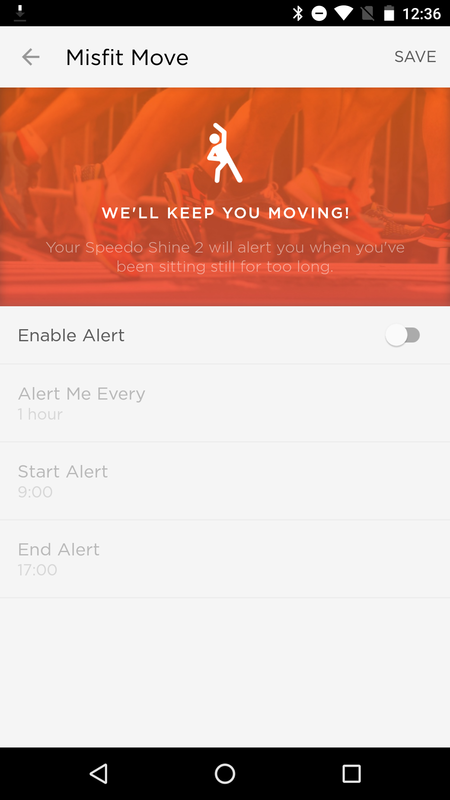 Reminders to move Alerts you to get off the chair when you've been sitting for a while. 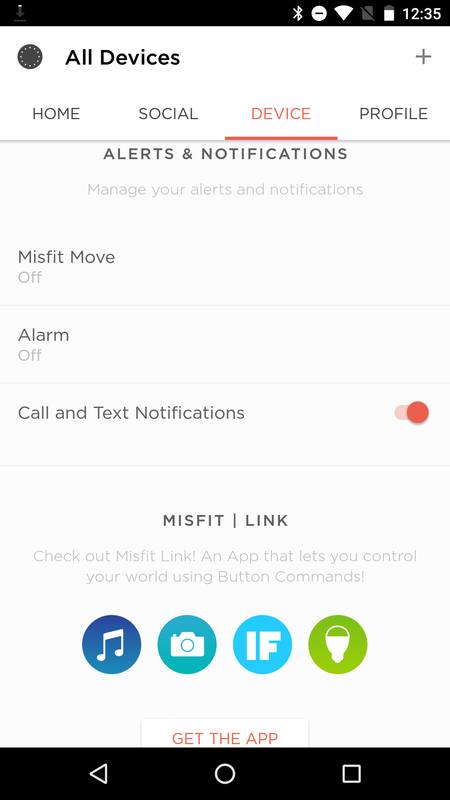 Misfit Link An add-on app that lets you use the Shine 2 as a controller for your phone, IFTTT, and more. 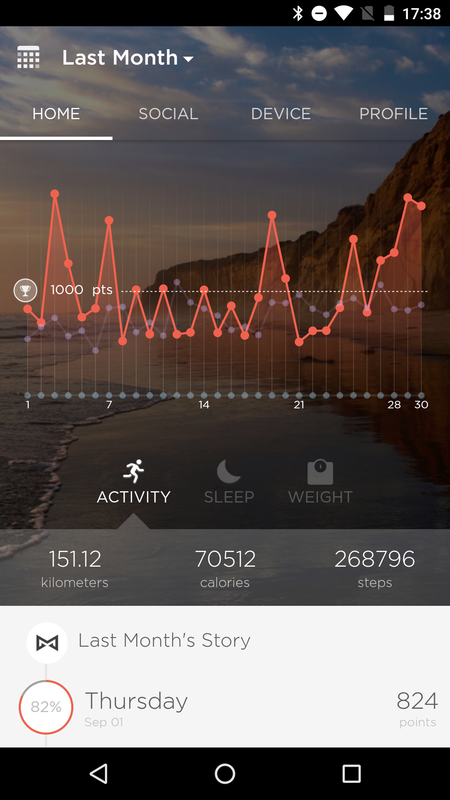 Well designed Android app It has a very visual dashboard look when you first launch it, different graph scales, and lots of bold colors. Bare-bones clock It can tell the time, but only in 5 minute increments. 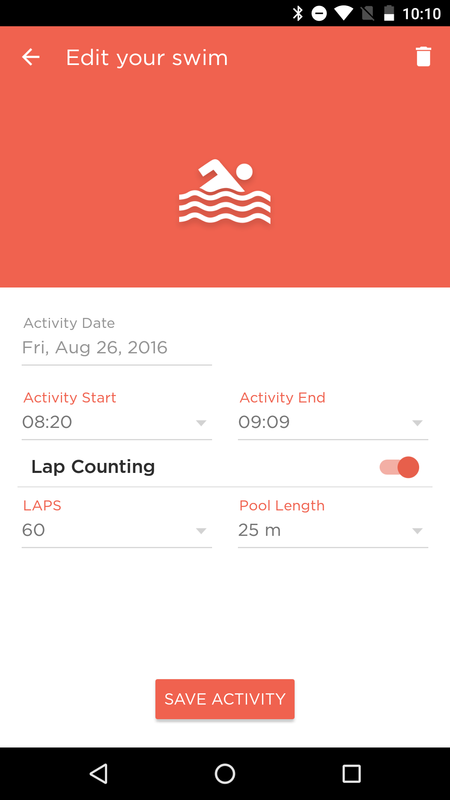 Swim tracking, again It's pretty basic. Only the duration, distance, calories, and laps are tallied. No nap tracking It doesn't automatically detect naps, so you'll have to manually log them. 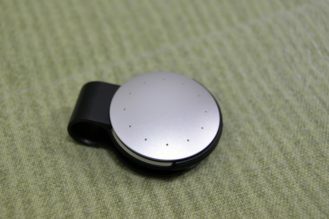 No heart rate monitor Plenty of other trackers have a continuous HR monitor, which improves calorie expenditure calculation during activities, but Misfit doesn't. 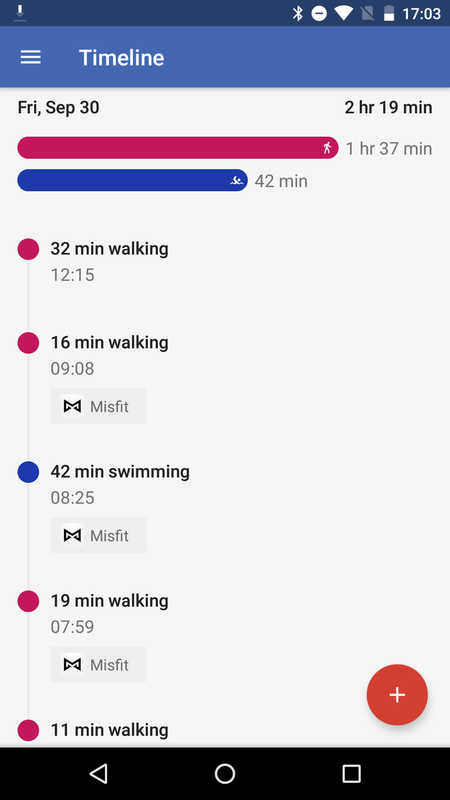 No exact activity recognition Misfit knows when you've been active, but it can't yet tell which type of activity that was. Manual activity tagging LEDs They light up red at the start and the end, making it confusing to know if you launched or stopped an activity tracking session. 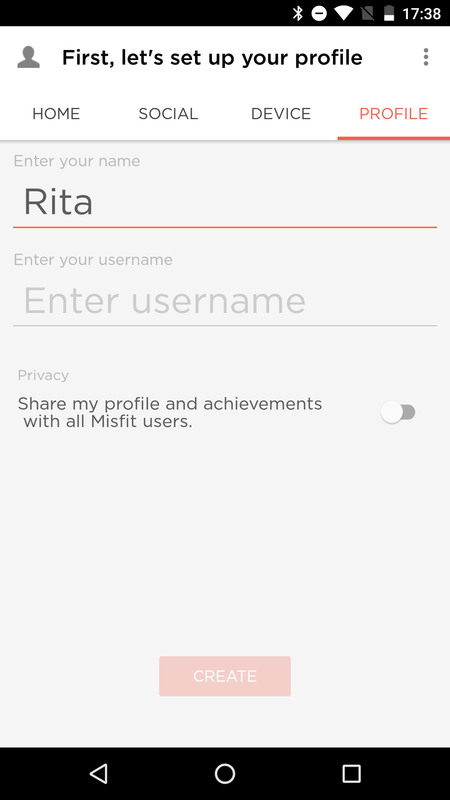 Social element There are far less users on Misfit than on Fitbit, so the social element is kind of lost in Misfit. Android app sync It should be automatic in the background, but it still doesn't work reliably. Limited notifications You can get notified of calls and SMS only, but you won't be able to tell who's calling or texting. The Shine 2 SE ships with a few interesting accessories in the box. 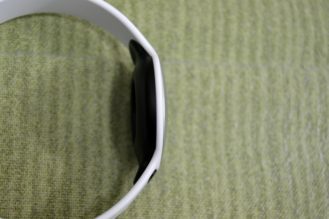 There's the tracker itself, two sport bands colored black and white, an action clip, a clasp, and a battery remover tool. 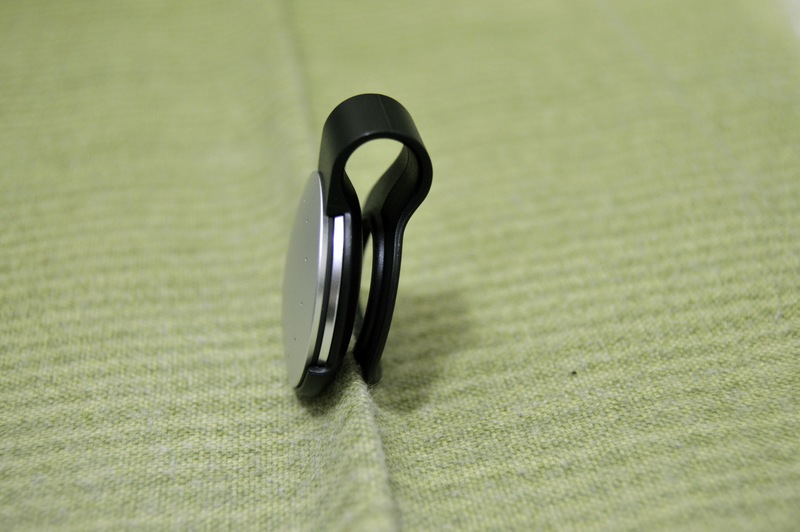 The whole idea behind the Misfit Shine, now in its second iteration, is to be a small disc that you can attach to a clasp and place on your pants or shirt or shoes, or slide in a bracelet and wrap around your wrist, giving you full freedom over where and how to wear it. The first generation Shine suffered from this design idea. The bracelet's band didn't go deep enough into the tracker's all-around indentation, causing the Shine to pop off randomly and easily if you brushed something with your hand, and get lost. 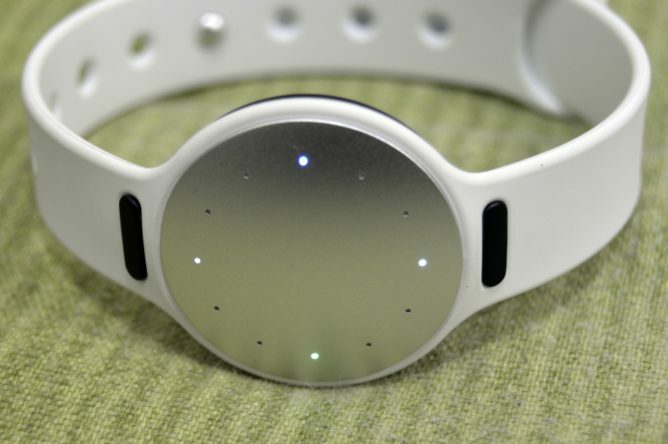 The Shine 2 tries to solve this issue by providing an action clip that holds the tracker in place and attached to the band so it doesn't pop off as easily. My experience with it has been rather positive. I've ran, swam, showered, ridden a quad with it, and kept it on mostly 24/7 without any major issues. Unless I violently yanked the band and Shine 2 against something, it stayed safe on my wrist. 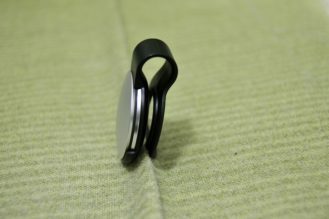 It did fall off a couple of times, but 1) I was wearing it on my dominant wrist so the risk of it catching onto objects was higher than if I'd worn it on the other hand and 2) I could instantly tell that a movement would pop it off because it was too vigorous. That's quite different from the first generation Shine, which would sometimes fall from its band without you feeling that. Keep in mind though that if you plan on wearing the Shine 2 without the action clip, you're back to square zero. The risk of the band stretching and the tracker dislodging from it after even the least strenuous movement is surely higher. The band's closure mechanism hasn't changed from the first generation Shine, much to my chagrin. One part of the band goes into a loop on the other and pins onto one of the holes there. 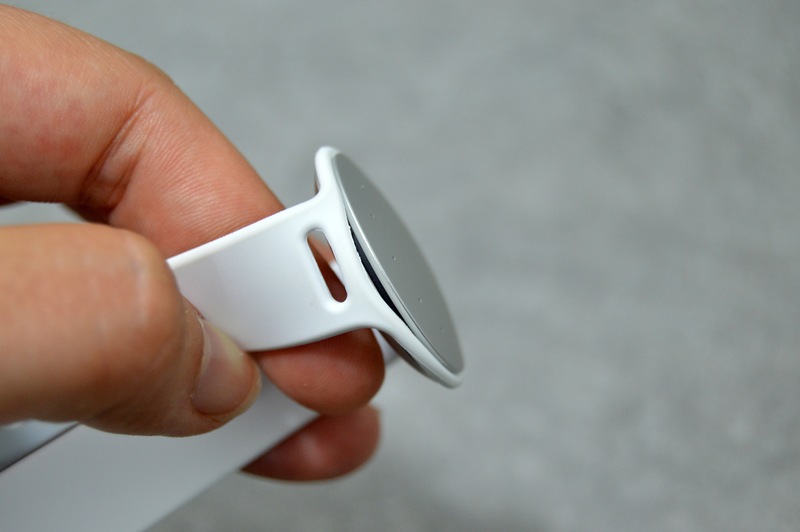 It works and it's definitely more secure than the original Fitbit Flex or Charge for example, but the metallic pin still has more chance than a buckle of getting caught onto clothes and popping open. 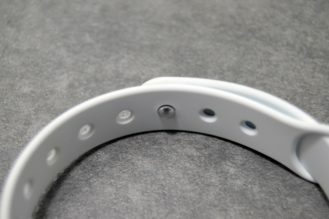 The other problem with the band, specifically the white one, is that it doesn't hold its color well. The pictures above were taken with the Shine 2 right out of the box, but after less than 2 months of daily wear, the strap is yellowish and no amount of cleaning is bringing it back to its original, uhm, shine. 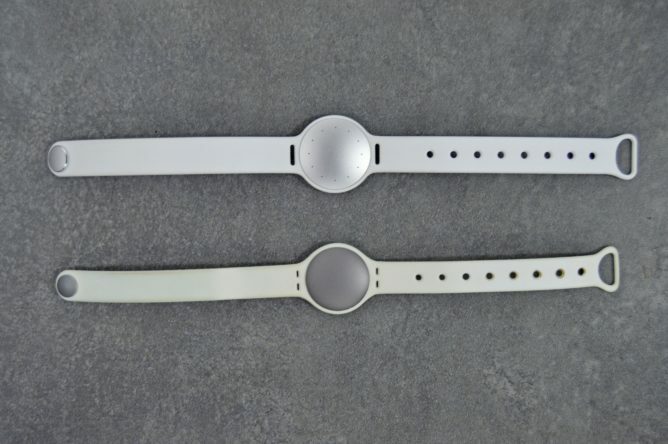 Below is a photo of the brand new Shine 2 and its white band next to a worn first generation Shine and its dirty-looking band. Now you know what to expect. Shine 2 with brand new white strap above, worn original Shine with yellowish white strap below. 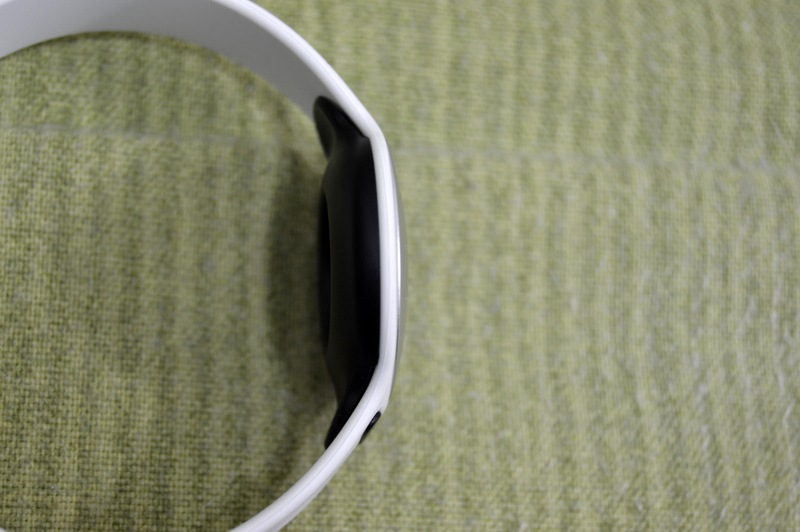 That, however, isn't an issue with the black band. It does look more used with time, but there's no drastic color modification. The problem with the black strap though, if you ask me, is that it doesn't really look that good with the silver tracker. I find it way too attention-grabbing. The Shine 2 keeps the LEDs from the original Shine, but improves them by making them multicolored. 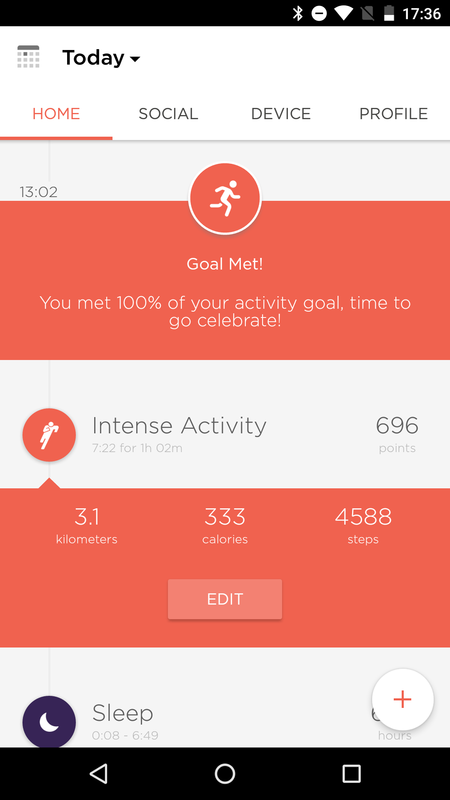 So they now light up in a red to orange gradient to show your activity as a scale of your goal (all 12 lights if you've achieved 100% of your goal, 6 lights if you're reached 50%, and so on). They also tell the time in a more legible manner: white LEDs for the 15 minute markers, green LED for the hour, and blue for the minutes. 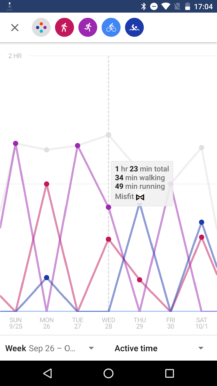 We're still talking about telling the time in 5 minute increments, and a confusing system because 6:55 looks like 5:55 for example (green at 6, whereas our brains are used to seeing it right before 7), so it's not like all of Misfit's woes as a time piece are gone. But if precise timing isn't of interest to you on your wrist, then you won't mind getting an approximation with the Shine 2. The LEDs are also used to notify you of calls and messages, and they also light up when you manually start tagging an activity. The problem though is that they always light up red, whether you're starting or ending an activity. So if you're confused as to whether you actually initiated a session or finished it, you will never be able to tell. Since these are multicolored LEDs, it would have made a lot more sense to have them go green at the start and red at the end. 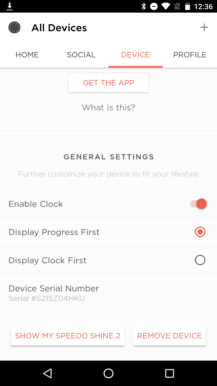 Setting up the Misfit Shine 2 SE is as easy as creating an account — thankfully, you can log in with Facebook or Google — and choosing the details of your profile, then letting your device connect to the Shine 2 via Bluetooth. 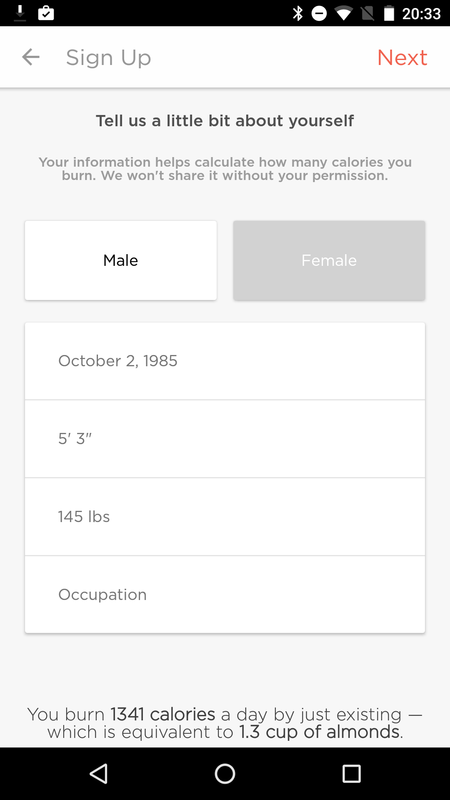 One thing I didn't like about the process was the use of feet and inches for height and pounds for weight in the account creation step. I couldn't switch to the metric system there so I had to convert the values because I'm used to cms and Kgs. 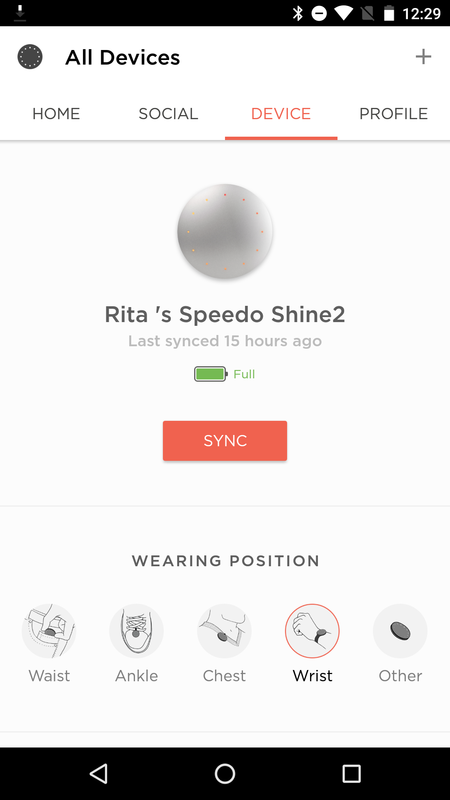 Once your Shine 2 SE is connected to your phone, it will start sending it everything it's tracking. There are a few things you can change in the way the tracker behaves though, like the wearing position and the default activity for manual tagging. Manual tagging starts when you tap the tracker three times (as I mentioned above, it lights up in a red pattern) and ends when you triple tap it again (also red pattern). 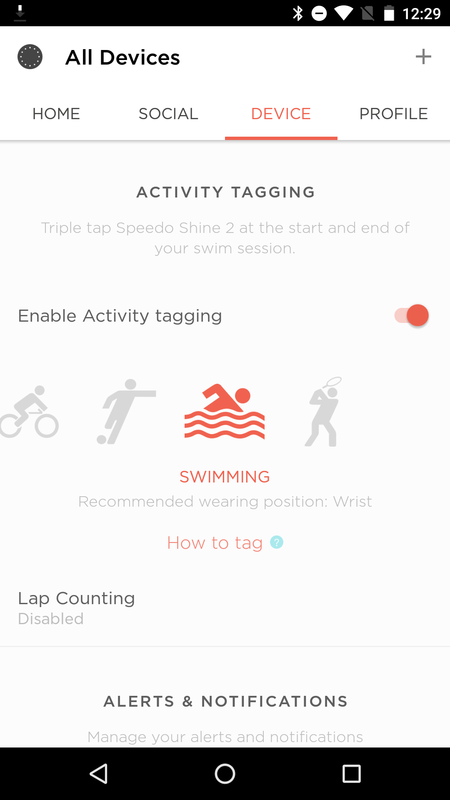 Although the Shine 2 SE is capable of figuring out your periods of activity, it doesn't recognize the exercise type so manual tagging is important for the exercises you care about and it's essential if you want it to pay attention to the details of your swim and count your laps. You can enable auto lap counting on your device, set the pool's length (thankfully, a custom option was recently added), and a timer that automatically ends your session if you want to swim for a very specific time. 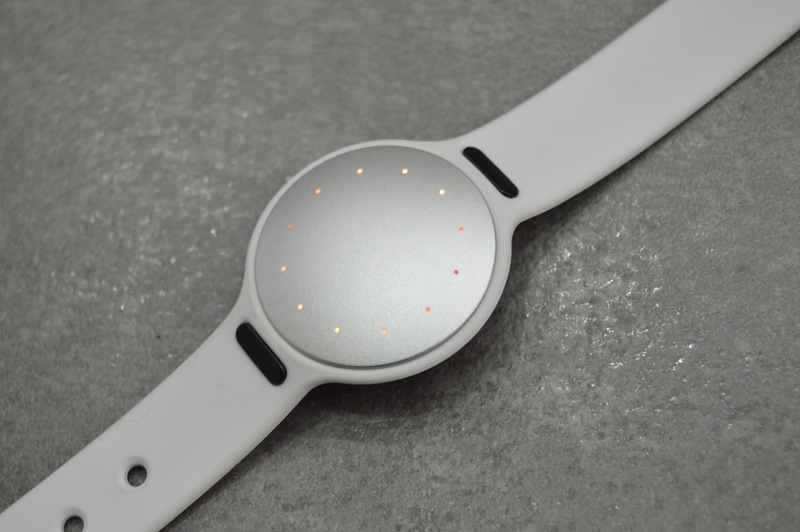 Other options you can enable on the Shine 2 SE are Misfit Move for reminders to move every hour when you've been sitting too long, a silent buzzing alarm, call and text notifications, and you can decide whether the time is displayed on the tracker or you'd like to just get a look at your activity meter and order which one goes first in case both are shown. 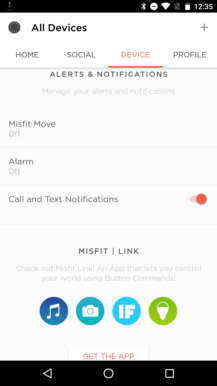 There's also built-in integration with Misfit Link (link at the end of the post), the app that lets you use the button on your tracker as a controller for your phone: take selfies, control music playback and presentations, and trigger IFTTT recipes or control your smart light bulbs. 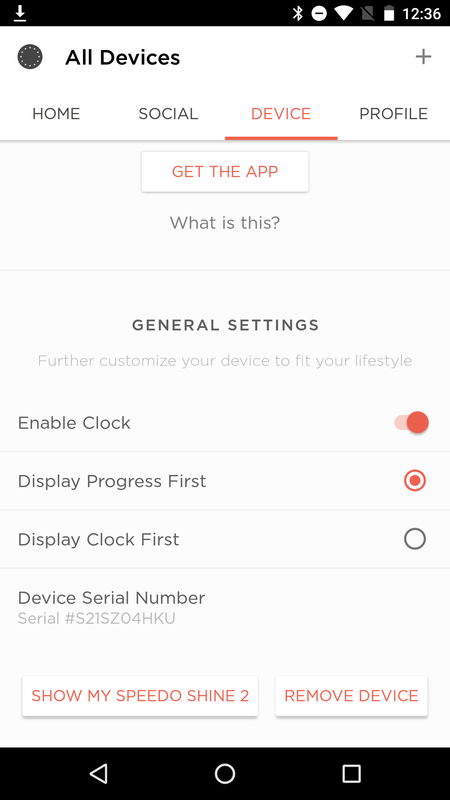 Other than your tracker, the second area of settings that you can access is through the Profile tab. 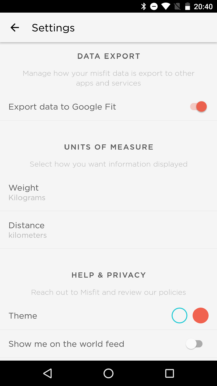 There, you'll have the option to choose your activity, sleep, and weight goal, connect Misfit to different apps like MyFitnessPal, set the measurement units in Kgs and Kms if you need to, and export your data to Google Fit. 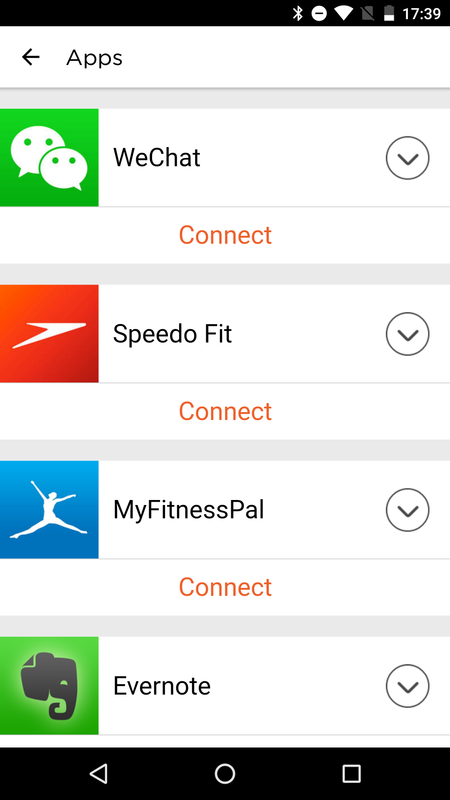 After enabling the Fit integration, your Misfit activities will start showing up on Google Fit's app inside your timeline, tagged with a Misfit icon. 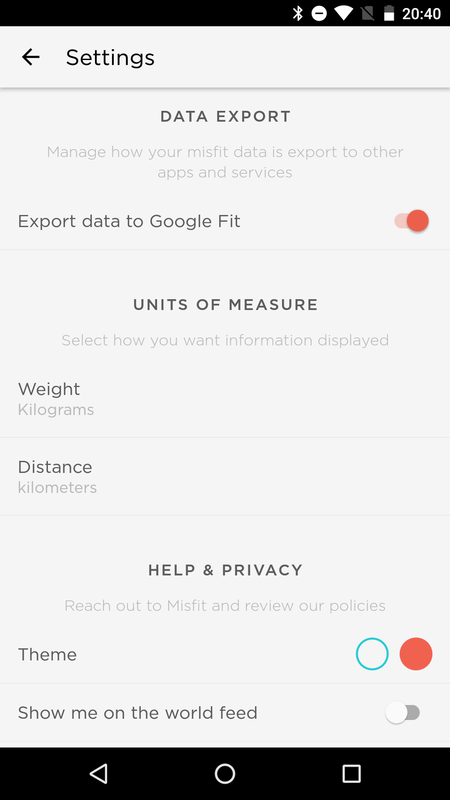 Swimming, walking, running, cycling, all activities that you specifically label in Misfit will get transferred over to Google Fit allowing you to automatically merge that data with other apps and points of input. Part of the reason I liked Misfit's Flash tracker when I tried it was the automatic sleep tracking. 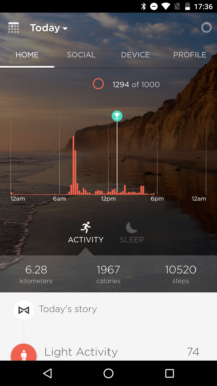 At the time, Fitbit hadn't implemented the feature and many other activity trackers lacked it too. 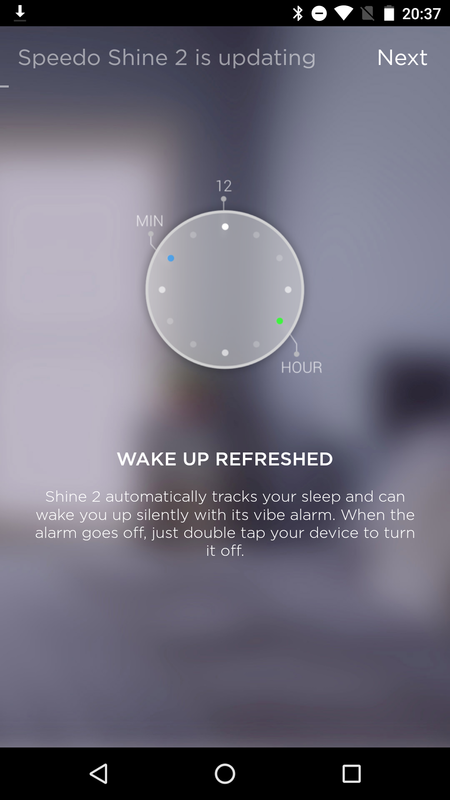 Misfit, on the other hand, didn't require you to manually start or end a sleep log nor to manually enter your sleep time after waking up. It just figured it out and it was pretty darn accurate at that. 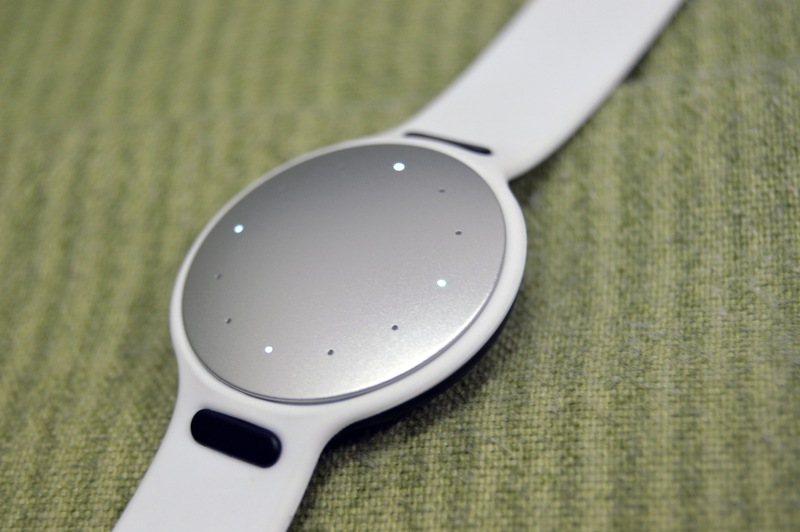 That feature is still there and it's still the same accuracy on the Shine 2 SE. 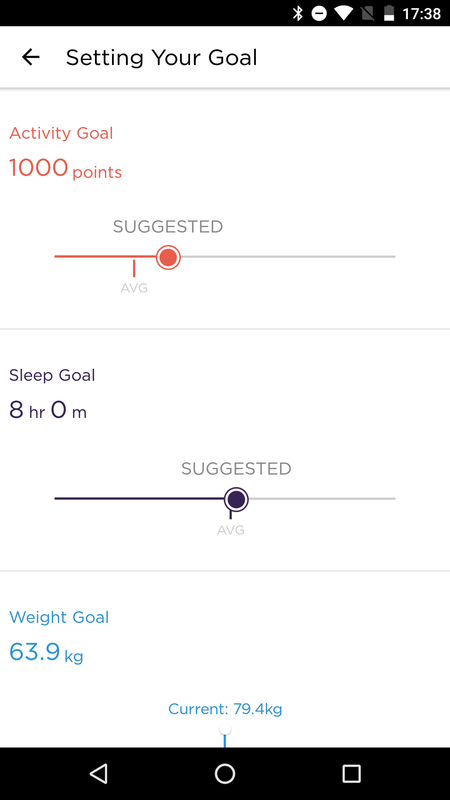 I've been wearing both the Fitbit Blaze (which now does automatic sleep tracking) and the Shine 2 SE all day, so I've been comparing the sleep data between the two. The result is fairly similar, with only a few minutes difference between them. 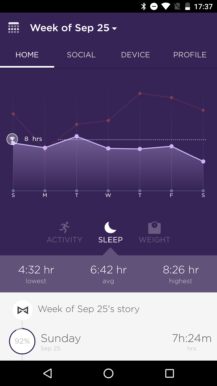 But where Fitbit just tells you when you've moved and when you were up during sleep, Misfit actually categorizes your sleep into light and restful phases. I find that data more meaningful. 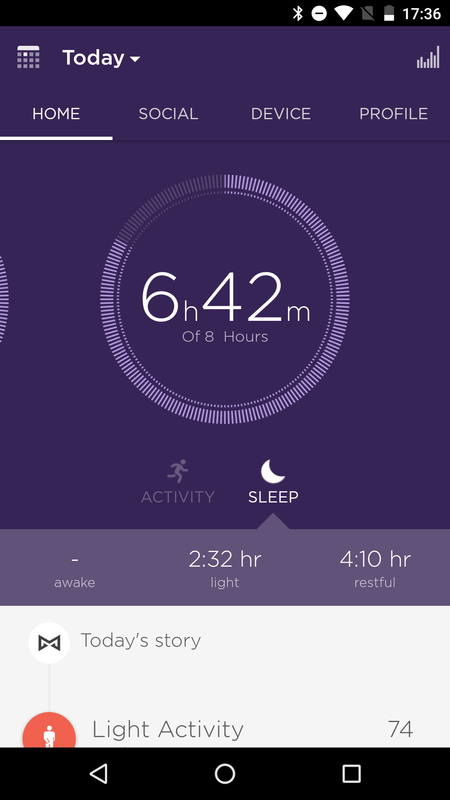 You can easily tell if you wake up groggy and annoyed that your restful sleep wasn't enough. 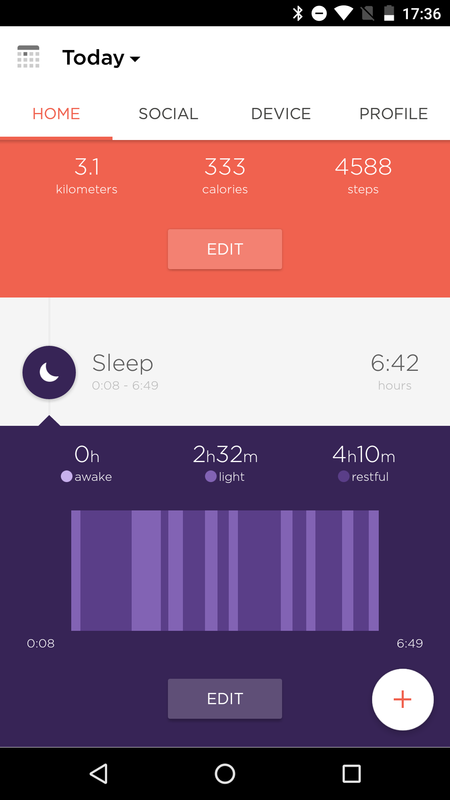 My only problem with it is that it doesn't seem to automatically recognize naps. 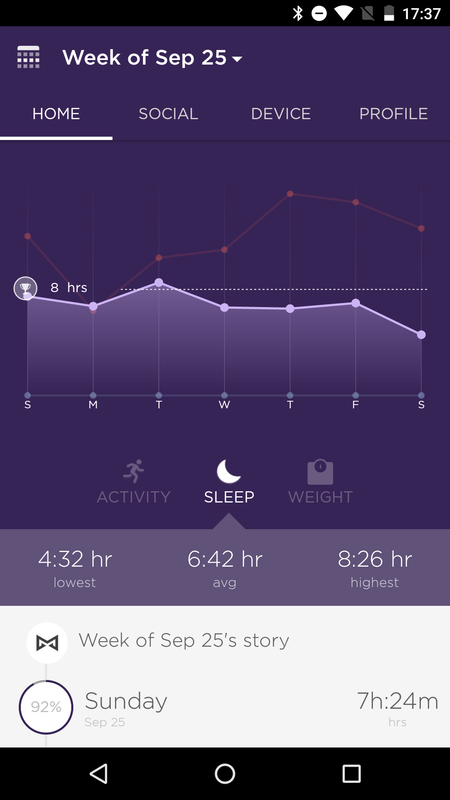 I tend to crash an hour or so in the afternoon every couple of days and my Fitbit Blaze more often than not tags these naps as sleep. The Shine 2, however, never did. 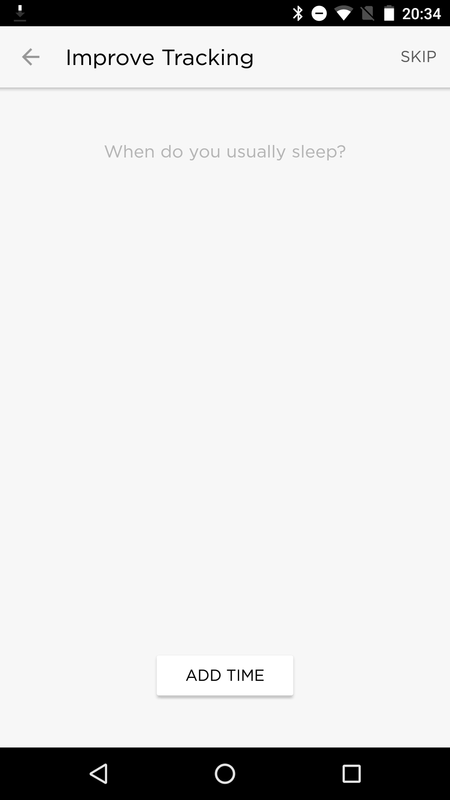 I was able to manually add a nap to my timeline, but that's not ideal. 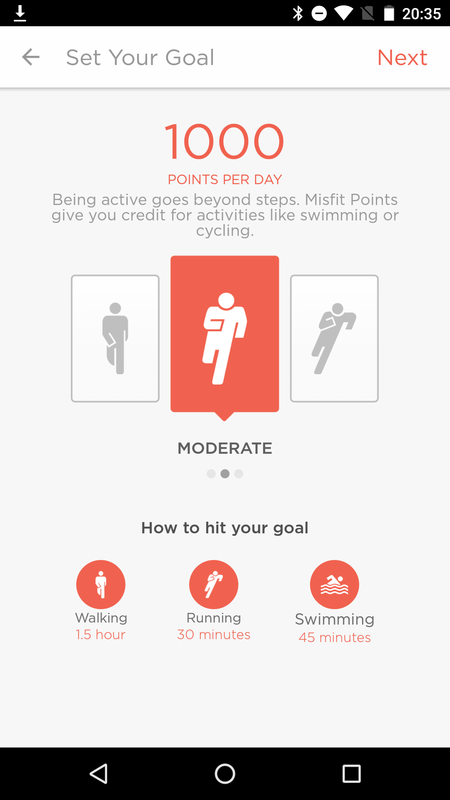 For activity tracking, Misfit actually focuses on points instead of steps. 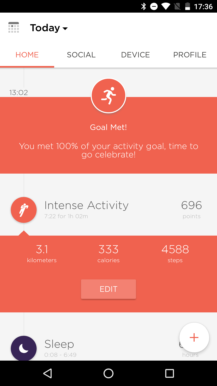 Yes, you still get a total of the distance, steps, and calories each day, but that's not the main interest. 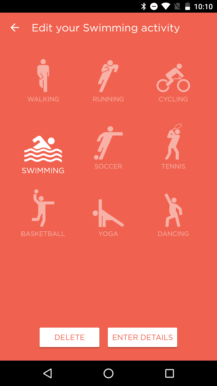 Each step isn't created equal and not all activities involve stepping, so points get tallied up faster if you run than if you walk, and swims count toward your goal instead of just being an afterthought. 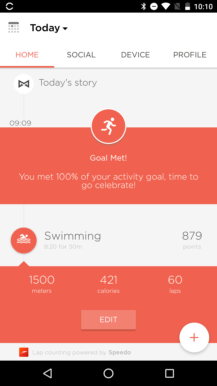 I really like this approach better than focusing on reaching 10000 steps each day because there are days when I swim for 60 minutes and my Fitbit's reaction is similar to, "well, you only walked 3000 steps today, get moving please." 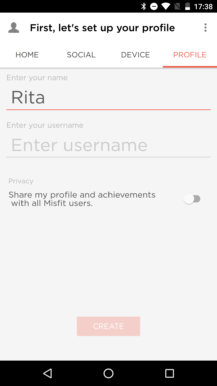 And Misfit's app is well designed around this point system. You can see your points as a circular graph or a histogram across the day, to get an idea of when you moved most and when you were stationary. Below that is a detailed timeline that shows your automatically and manually tagged activities. 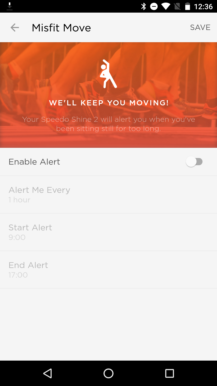 I mentioned above that the Shine 2 SE does automatically figure out when you've been active and add that to your timeline, but the most information it'll give you is whether it was a light, moderate, or intense activity. 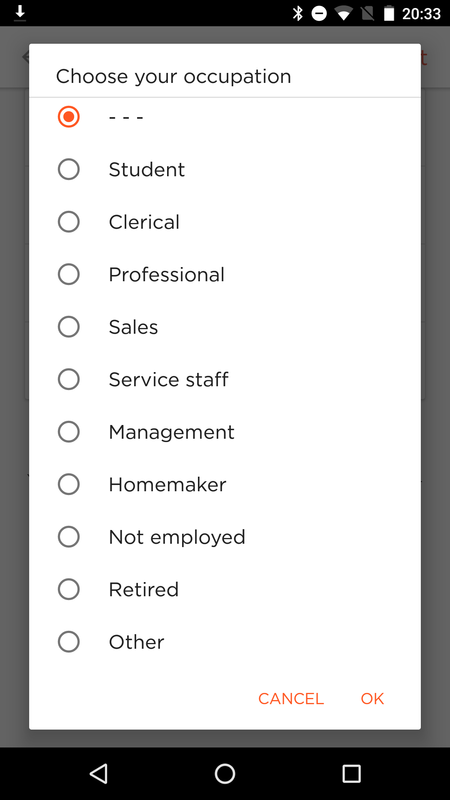 You can manually edit an activity to specify what it was, but that still requires more work than what most people are willing to do. 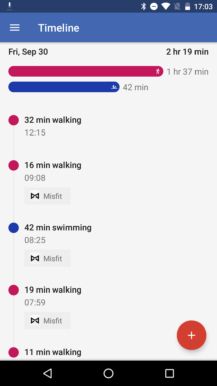 While I liked this feature a couple of years ago in the Misfit Flash, I know that other trackers have evolved enough now to be able to tell exactly what kind of activity you were doing. 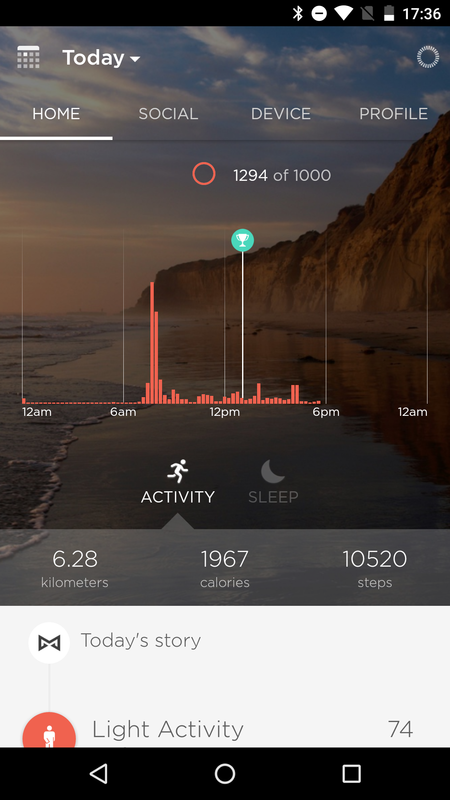 The Fitbit Blaze, for example, easily recognizes walks, runs, cycling, playing any type of sports, and more. 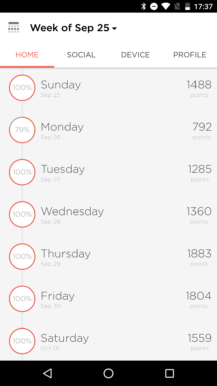 Beside the day view, you can switch to display your progress over the entire month or week, with a graph also visibly showing your total points each day and a timeline below it detailing that as well. Step tracking is fairly accurate on the Shine 2 SE. 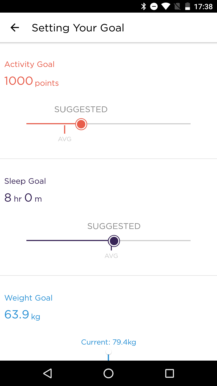 As with all activity trackers, there's a 10-15% margin of difference, so my main advice still stands in this regard: don't look at the absolute value of steps, but observe the trends over time and the differences relative to your other days. 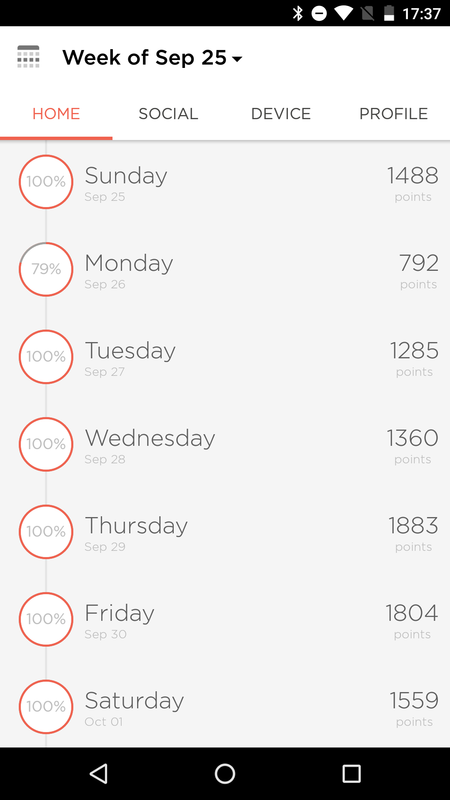 That makes a lot more sense than sticking to, "Oh, I only got 9950 points today whereas I had 1092 yesterday." To me, those are practically the same. 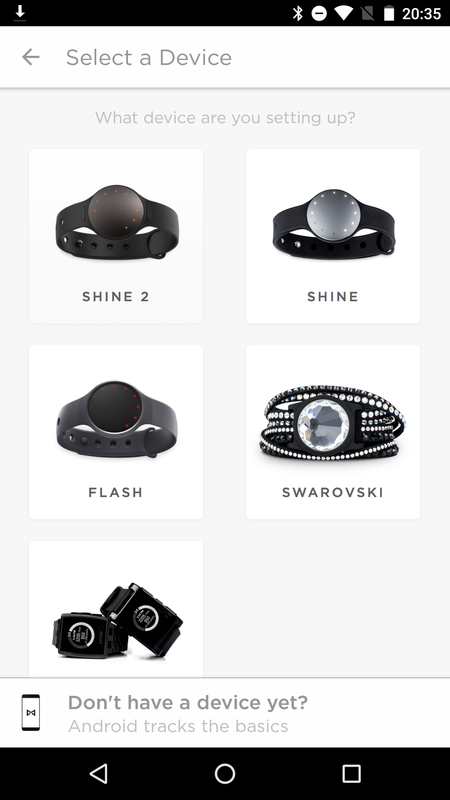 There are a few differences between the Misfit Shine 2 and the Swimmer's edition: the color of the tracker (it's silver here, whereas the regular Shine 2 comes in black or rose gold), the added strap (you get two here vs one in the Shine 2), and the included swim tracking option. You can actually buy a firmware upgrade for swim tracking on the regular Shine 2 and the Misfit Ray for $10, which would end up costing less than getting the dedicated Swimmer's Edition, but you don't benefit from the second strap. 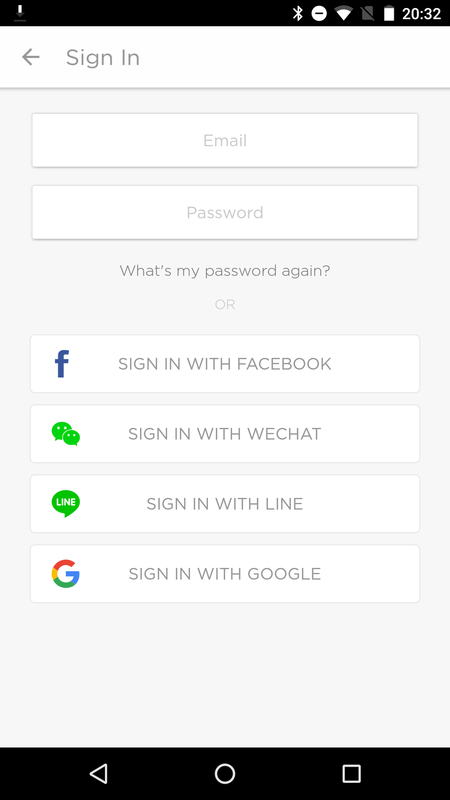 Essentially, you're getting the same functionality, so I won't dwell over that for long. 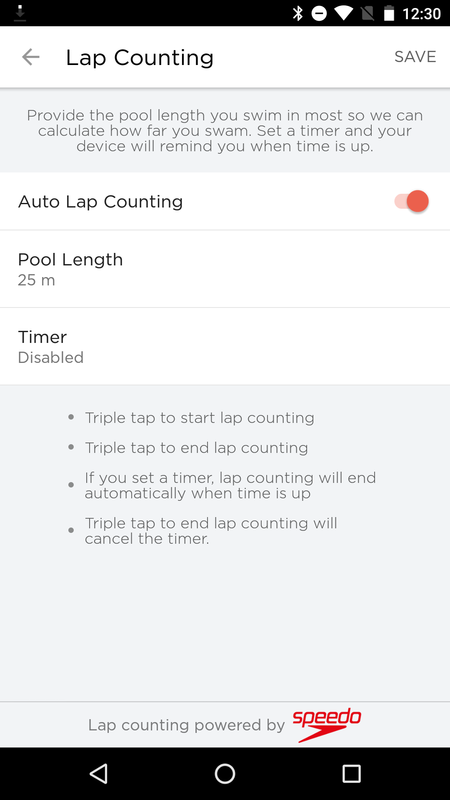 If you set your manual activity tag (the one initiated by a triple tap on the tracker) to swimming and you enable automatic lap counting, the Shine 2 SE will figure out the main details of your swim by itself. 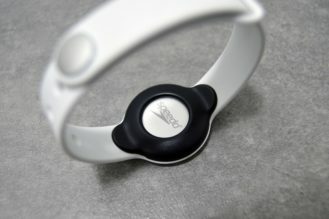 It can count up to 130 laps and recognize all 4 types of strokes. My experience with it has been very positive. 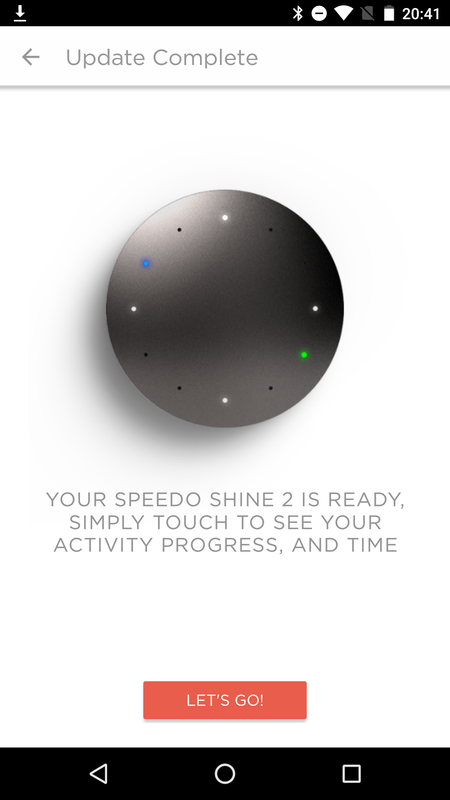 I mostly swim freestyle and do underwater flips at the wall, and the Shine 2 SE didn't have any trouble with counting those laps. 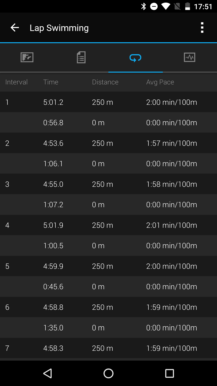 It was 100% accurate during the whole swim and wasn't derailed by any movement I made during breaks between sets. I also tried mixing and matching, switching to a backstroke and a breaststroke and it counted those just as accurately as it did the freestyle one. Even dividing laps to be one length in freestyle and one in backstroke didn't confuse it. 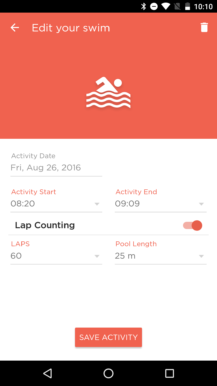 Check, for example, the swim session below on Sep 29. 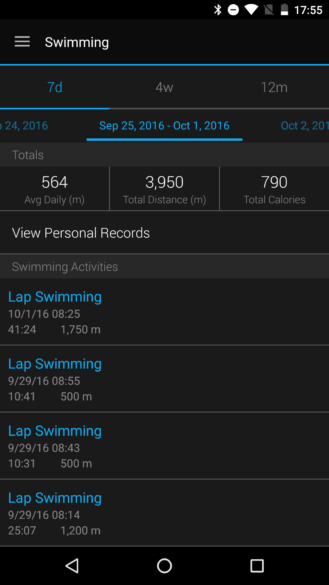 Misfit tallied my 3 varied style sets into a 2200m swim, whereas I had each set tracked separately on Garmin (1200m, 500m, 500m). The total is exactly the same. 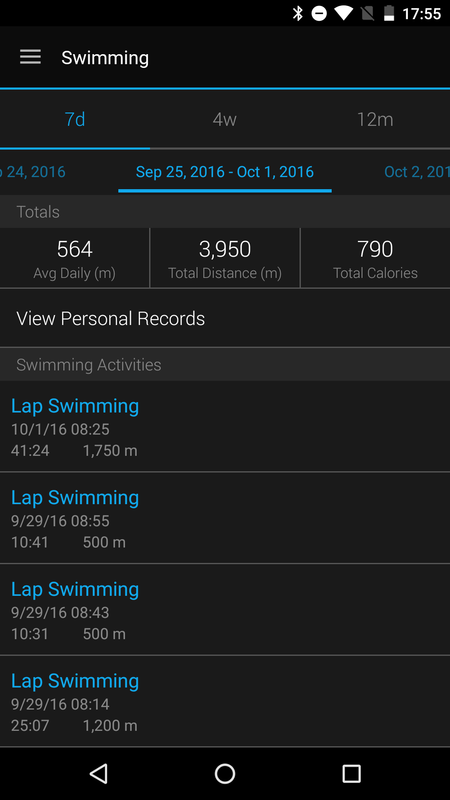 Same swim on Sep 29 for a total distance of 2200m on Misfit (left) and Garmin (right). 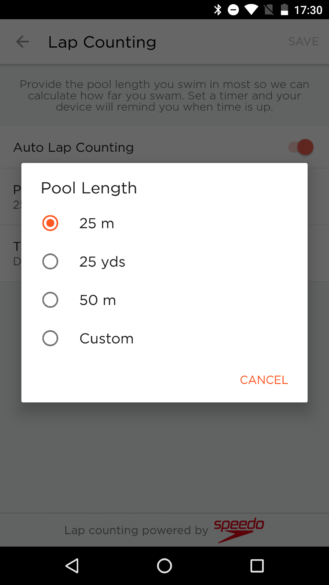 You don't get any feedback while you're swimming, which is a little annoying, but after you're done, you can sync back to the app and see what were the total duration, distance, calories burned, and lap count of your swim. You can manually edit that as well, should you need to. But that's where the swim tracking capabilities of the Shine 2 SE end. 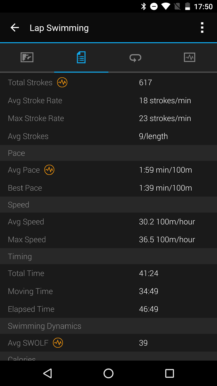 There's no other data provided for your swim beside the totals, whereas Garmin completely blows it out of the water. 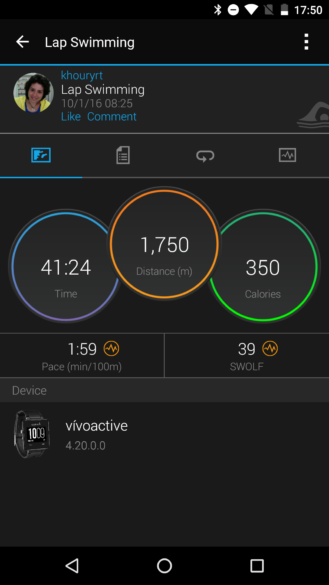 The total distance, time, calories burned, and so on could be the same or close enough, but Garmin provides much more details to help you see how your swim went. 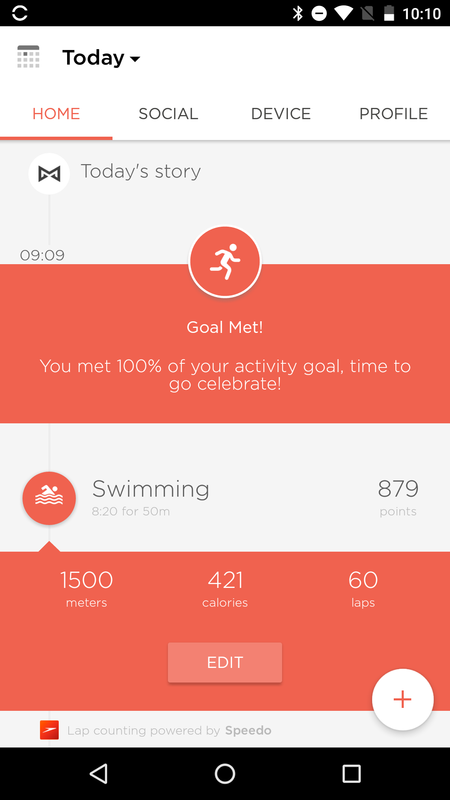 Garmin (right) and Misfit (left) provide the same main details for each swim. Garmin shows your average and best stroke rate, pace, speed, total time and moving time, and your average SWOLF score. 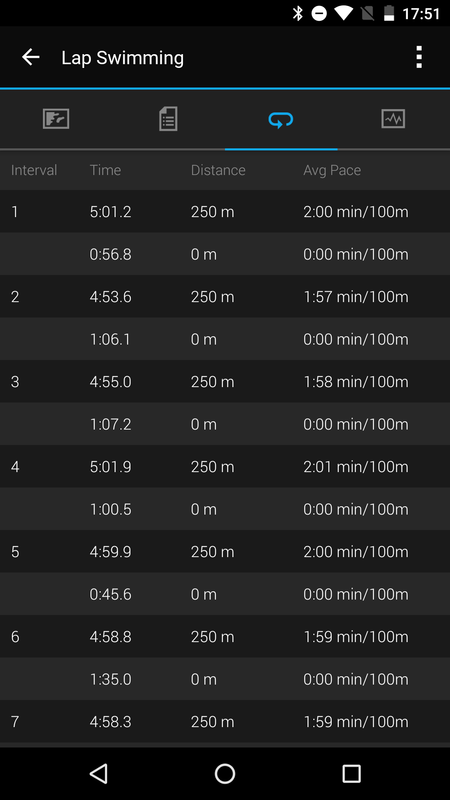 You can also view each individual interval's duration and pace. 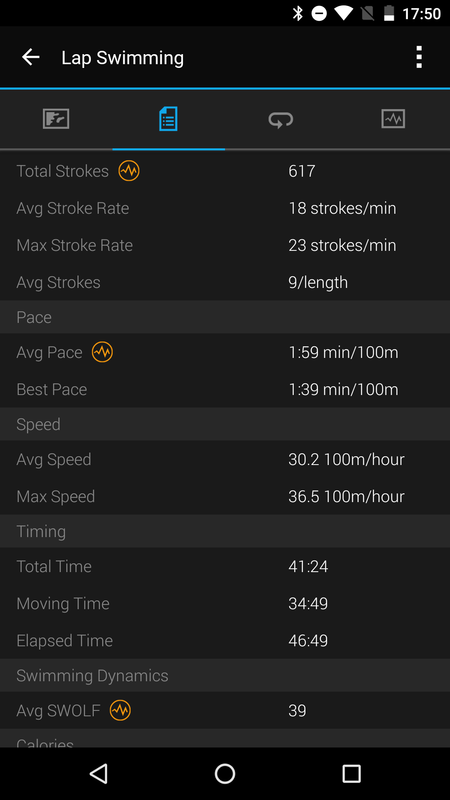 And finally, there's a histogram for the pace, strokes, and SWOLF score across your swim showing your separate intervals and every single length of pool by itself. It's amazing how much information you can glean from those different views. 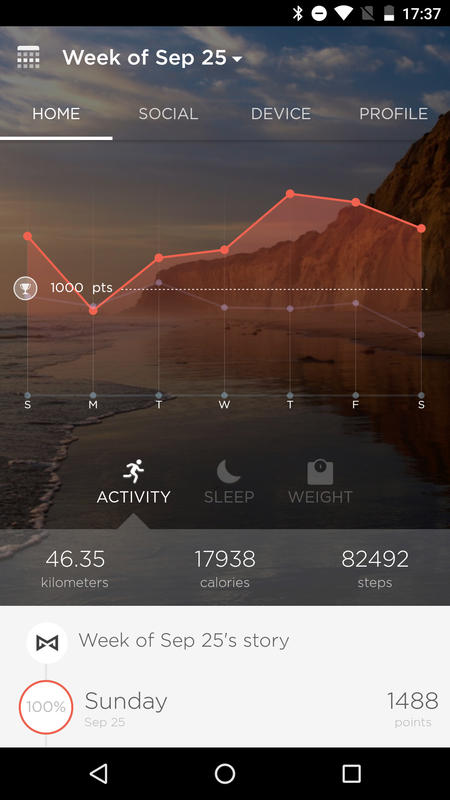 Garmin goes way, way beyond with the detailed stats and data. When I reviewed the Flash more than a year ago, Misfit had a leg up on its competition by not requiring you to babysit it throughout the day. 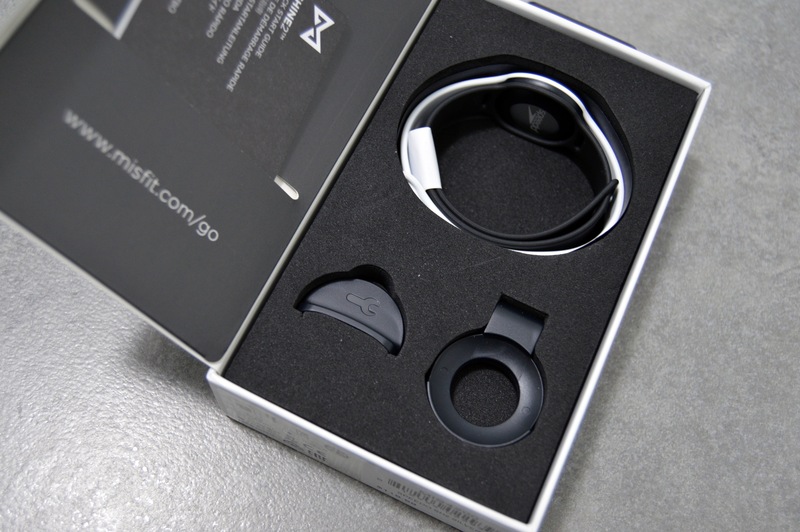 The 50m depth waterproof rating, 6 months of battery life, and slim and lightweight features of the Shine 2 are still near unrivaled, but the rest of Misfit's features are starting to be less and less advantageous. 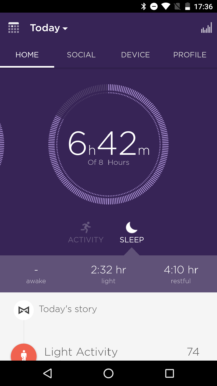 Fitbit caught up by offering automatic sleep tracking and automatic exercise recognition, the latter being something Misfit doesn't do yet. 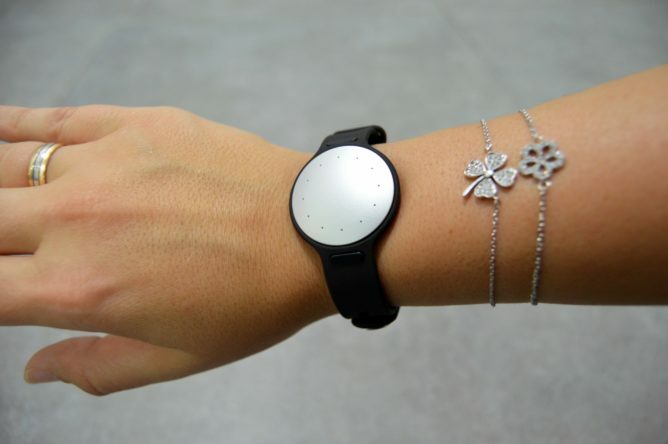 Some of its trackers, like the Alta and Flex series offer the same versatility of being worn on the wrist or on a clasp. 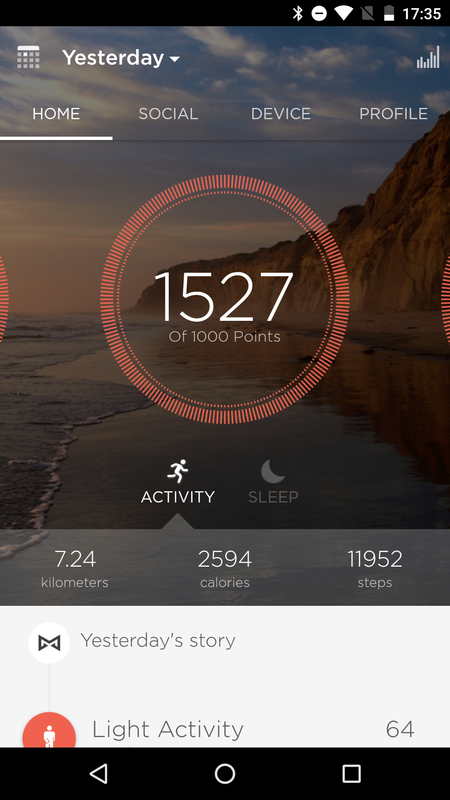 The upcoming Flex 2 will also offer water resistance and swim tracking for $99, taking one less winning point out of Misfit's score. 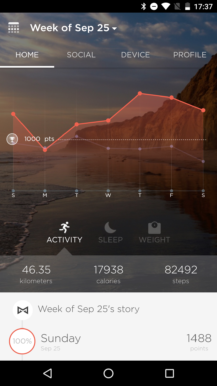 And many of Fitbit's devices can use your Phone's GPS to more accurately track walks and runs, which Misfit doesn't yet provide. 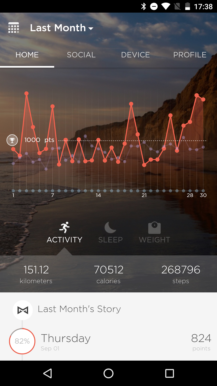 And that's not to mention Garmin's excellent new trackers which mix and match all day tracking, notifications, water resistance, super accurate swim tracking, and even sometimes GPS and heart rate monitoring, as well as live displays for on-device feedback during an exercise. Those are priced higher, but their value proposition is a lot more interesting. 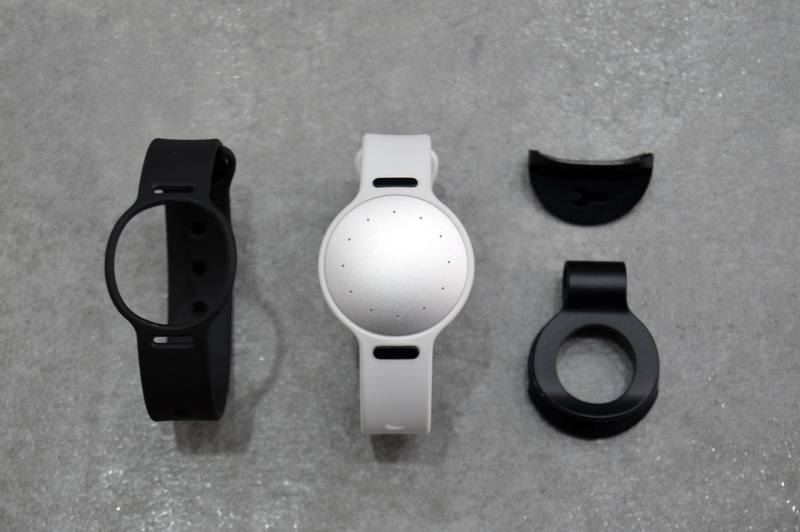 Misfit is no longer alone in this less involved activity tracker space. 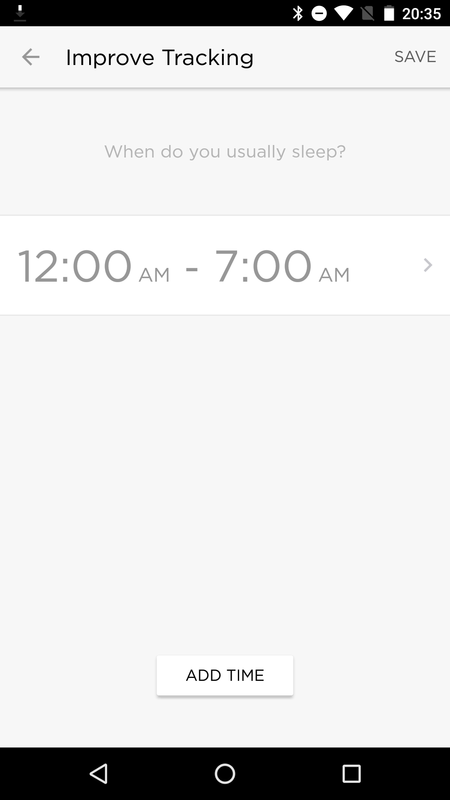 Sure, it's still one of the lower maintenance trackers on the market and that long battery life is such an awesome feature (a sentence that rings so true right now: my Fitbit Blaze is blinking empty battery and I forgot its charger at work...). 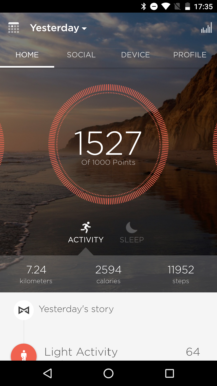 I think it has the right idea in focusing on points instead of steps and I like many of its features like the Google Fit integration, Link app added options, and more. 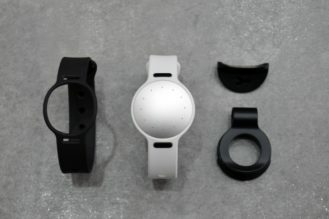 But Misfit needs to pick up the pace and introduce new options, lest it be completely side-stepped and overlapped by other brands on the market in ease of use. 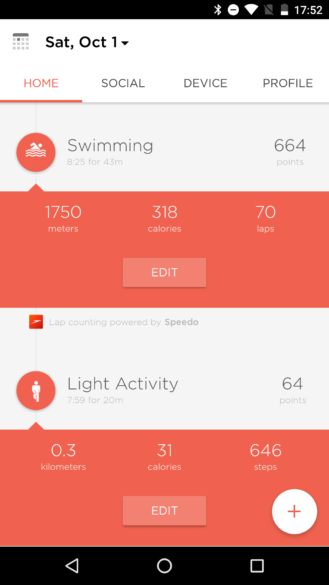 As for the Shine 2 Swimmer's Edition, it's an interesting proposition for active people who don't care about specific performance details (where Garmin is better) or social support and competition (where Fitbit shines). 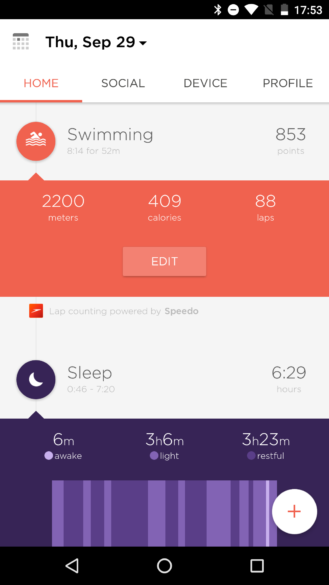 I think it's perfect for casual swimmers who don't want a separate tracker for their pool time and who are looking for the most efficient way to stay on top of that and their whole day activity and sleep, and well, yes, other exercises.